Meal: Atrium, Plume Of Feathers, Dog & Doublet. Suggestions Get in touch with Jane Rushton with any ideas you may have for future social events. 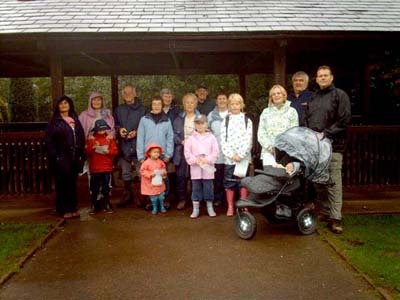 The Kiddies' Walk was started at Tittesworth on 20 August 2006 organised by Margaret Bailey. This was designed for children and grandchildren of members and included fun and games after the walk, despite the weather. 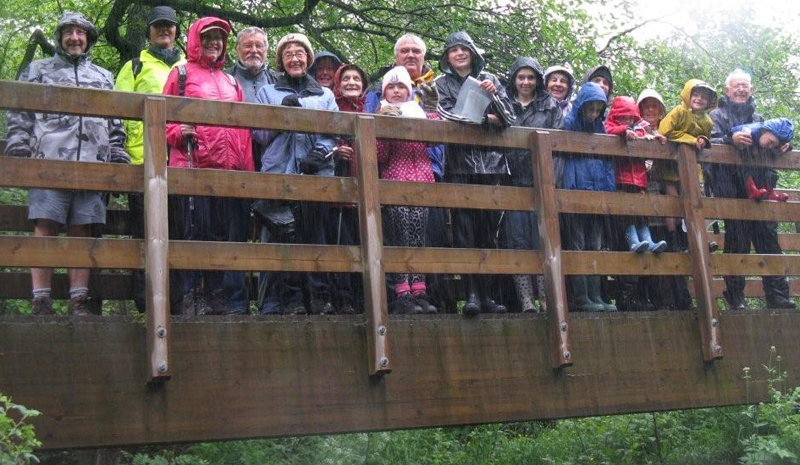 The photograph to the right shows participants sheltering from the rain at Tittesworth. 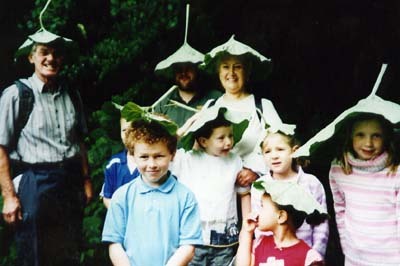 On 10 June 2007 the event was held at Consall Country Park in the Churnet Valley, with a gentle walk down the valley to a small shallow pond, where the kids (and others) were introduced to pond dipping and bark rubbing. 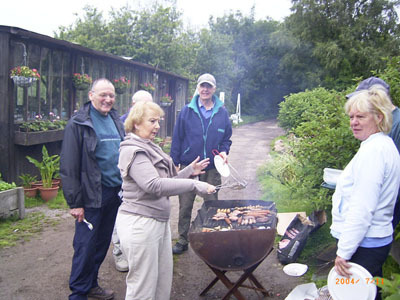 A quiz was completed as the outing continued through the upper park and then it was time for lunch. Plans are for this to feature regularly in the programme in the future. 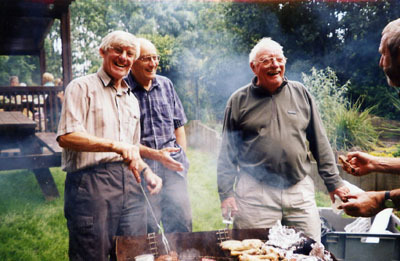 Usually of holidays with photographs taken by club members. Held at the Conservative Club from 8pm on ad hoc basis. Past slide shows have included holidays in Alaska, India, New Zealand, Himalayas, Iceland, Norway, Tour du Mont Blanc, Patagonia, Russia, Tibet. 2. The Broadhurst Trophy for the best photograph of flora and fauna. 3. The Chairman's Trophy for the best photograph depicting "The Great Outdoors"
4. Special Award for the most amusing photograph. Currently held at Burslem Cricket Club at 7.30 pm on the first Wednesday in November. Almost every Wednesday morning in one or two of the arenas at Fenton Manor Sports Complex. Starts at 9.30 am and costs £2.30 (ask for Ageing Well) for one and a half hours. The session includes a warm-up routine followed by games of badminton and ending with a cool-down routine. Softball tennis and table tennis can be arranged. Then we have a general get-together over a coffee or tea included in the price and every few weeks a lunch out is arranged for after the session. You do not have to be very proficient; the better players are very tolerant. Come along - you will enjoy it. Usually at the Regent Theatre in Hanley but sometimes by coach to Manchester or Birmingham. In past years we have seen: Under The Arches; Scrooge, The Musical; Joseph and His Amazing Multi-coloured Dreamcoat; Oliver; La Cage Aux Folles; Blood Brothers. 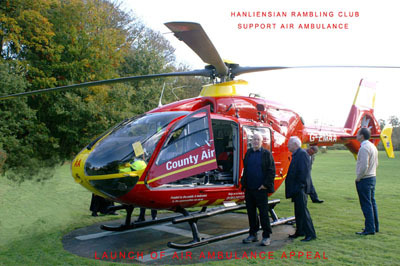 To places of interest such as: Evening Sentinel, CCTV Centre, Air Ambulance, Titanic Brewery, Halfpenny Green Vineyard. Now held in March and next year at the North Staffs Hotel, Stoke. Dancing to a live band. 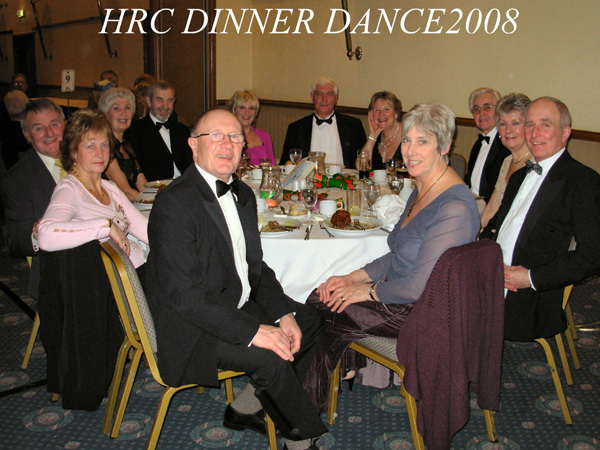 The photograph is of a table at the January 2008 Dinner Dance. 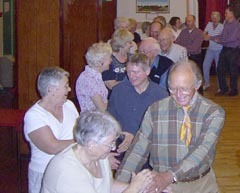 Always popular, these dances are normally held at a village hall to a live band or taped music with a 'caller' to guide you through the steps. 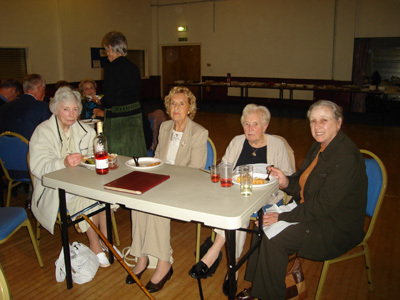 Members bring their own drinks and a plate of food to put on the communal buffet table. A great night out! 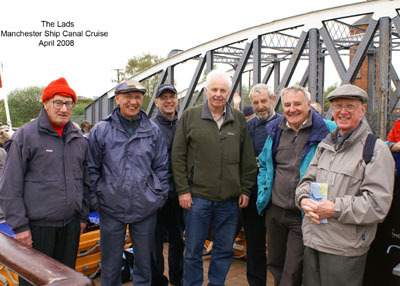 We have a number of meals out as club events through the year. 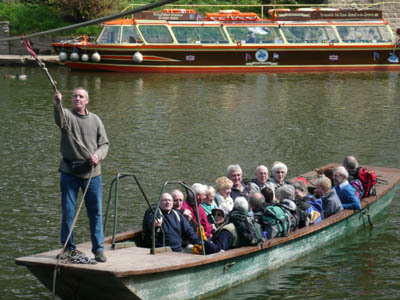 Some are arranged as part of walks, either at the end or at mid-day. 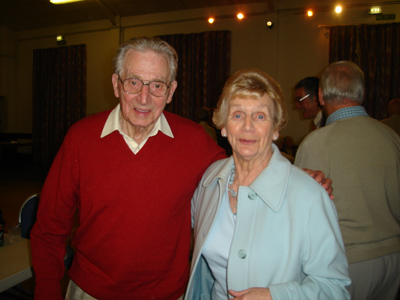 Others take place as stand alone events in the evening and free buffets are arranged for some social events.